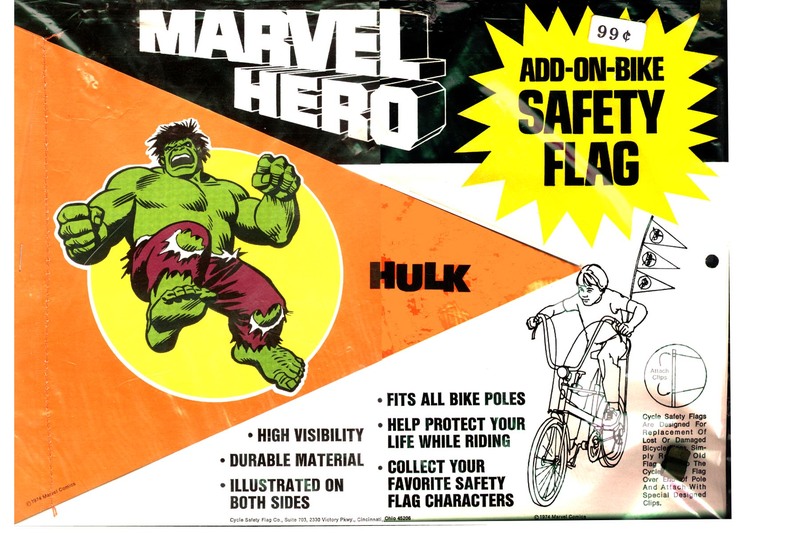 Here's an odd little item:an early-70s Incredible HULK bike flag! Nice, bright graphics on this rare little gem! !